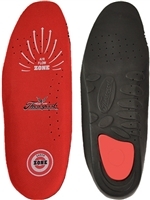 The Thorogood SHOCK ZONE footbed cradles your feet from toe to heel. 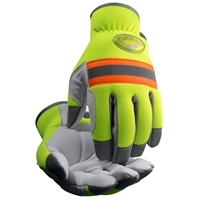 These Caiman Hi-Vis Work Gloves will keep your hands seen visibly to others and keep them comfortable during long work hours. The Caiman Rhino Tex Gloves will keep your hands cool, dry and sturdy while you work. 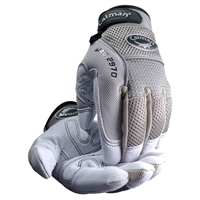 The Caiman Rhino-Tex synthetic leather glove has a silicone grid pattern for extra grip. This glove is built with Light Heatrac III micro-fiber insulation for warmth in cool climates. A camouflage graphic print with Fleece backing and Scratchless hook and loop closer for a secure fit. You'll love wearing these gloves. 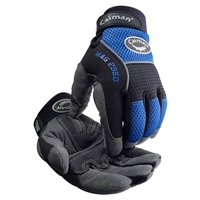 The Caiman Synthetic Leather work gloves are great glove to keep your hands cool and dry while you work. 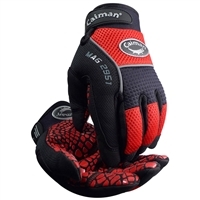 The Caiman Multi Activity Glove are durable, functional, and comfortable while providing safety for your hands. 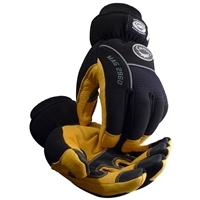 These Caiman work gloves are made with tough leather and soft cushioning. You'll get all the comfort your feet needs with this insole that features anti-fatigue technology. The Caiman Winter Multi Activity Glove are designed to withstand harsh winter conditions. The KEEN K-20 will help fight foot fatigue for long days on your feet. 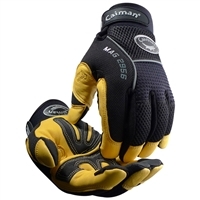 The Caiman Men's Work Gloves are great for roofing, cleaning gutters, replacing storm windows or just working around the house.